21 Rosemary Lane: A New Look...I'm Being Featured...and the Liebster Blog Award! A New Look...I'm Being Featured...and the Liebster Blog Award! It is turning out to be an exciting week here at 21 Rosemary Lane. You may have noticed some changes with my header and background....I've probably have been driving you all nuts with it because I think I've had about 6 or 7 different ones over the last 2 weeks. I know I am never completely happy and that's why it is always being reconfigured. But the other reason why I've been playing with it is because I have finally decided to merge my foodie blog Big Giant Food Basket, and my mommy blog Big Giant Dog into 21 Rosemary Lane, and I wanted my new header to reflect what this blog is all about. Frankly it simply has been too much trying to keep up with all 3 and to be honest I haven't been doing a very good job. Although I am not deleting them and I will still post to them, everything I post will be seen here first. (Unless I am really venting...then that post will be reserved for Big Giant Dog!) Also you may have noticed that the header is in a slidehow format. I can't believe I actually was able to do this but not without the help of a wonderful tutorial over at This and That blog. Eventually I will like to have my pictures have a "fade in fade out" transition...but I will leave that for another rainy day and tutorial! Also I want to send a shout out again this week to the lovely ladies over at Junk in Their Trunk blog and thank them for yet another feature. This week my Taco Lasagna recipe was Tiffany's favorite! 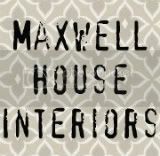 And finally I want to thank Jeannie over at Maxwell House Interiors blog for honoring me again with the wonderful Liebster Blog award! Thank you so much Jeannie for the honor and I am so happy you are following 21 Rosemary Lane. And you all must stop by and check out how Jeannie is loosing weight while drinking wine! She has the most amazing idea but I don't want to spoil it for all of you, so please hop on over to Jeannie's little part of blogland and see what she is up to! As part of being a recipient of this award I must now pass it on to 5 other deserving bloggers. This may take me a couple days to decide upon so stay tuned! Your new header is fabulous! I love the slide show style! the blog is bright and beautiful! congrats on the award and the feature! I received this award last month and was so honored! Well, the blog header looks wonderful! You are very adept ~ I am not technical at all and so wish I were. The taco dish looks so tasty! Congrats on the award too. Your blog looks wonderful. I'm still trying to figure out how to make mine look good. Love your new header! Following you on Linky now as well as GFC.